The heat is on, we can really feel the summer. How I wish I can travel to cold countries to escape the heat. The scorching sun is unforgivable and it makes our mood and electricity go up. Well, there are many ways to beat the heat and one of them is going to the beach or swimming pool. 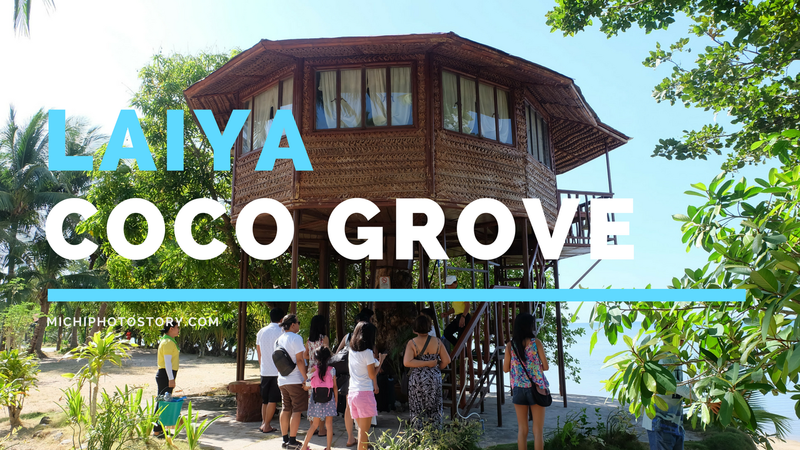 A few weeks ago, our family had a family outing at Laiya Coco Grove in San Juan, Batangas. This is the 11th resort that we have tried in Batangas and you can check the other resorts here. 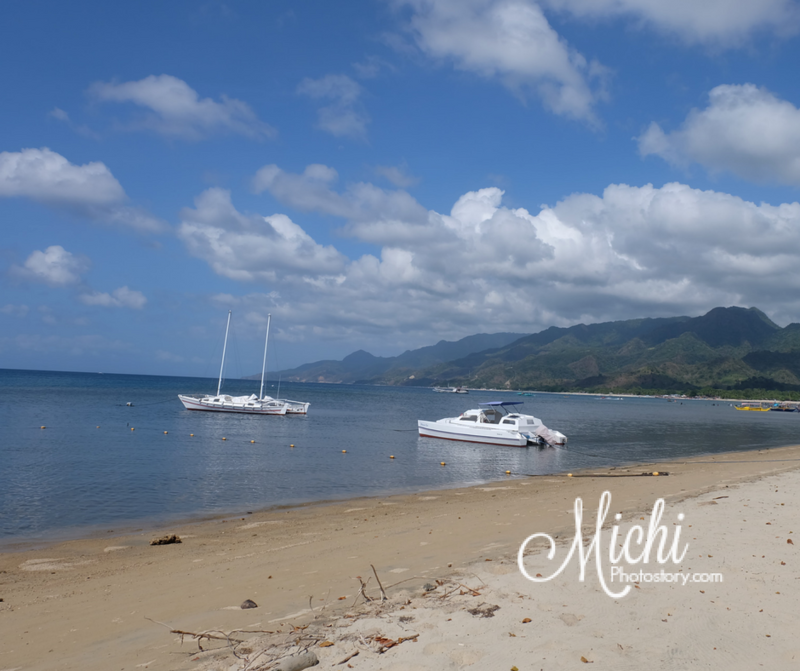 I know that summer is peak season so as early as January, I was researching and inquiring about our weekend getaway. The first three resorts were all fully booked so I was happy that there are still available rooms at Laiya Coco Grove. I was surprised with the 24 hours timeframe, buti na lang there are banks na open ng Sunday so I deposited the downpayment and email the copy of deposit slip. The following day, I received the confirmation email and eco pass. Everything was booked in less than 24 hours. 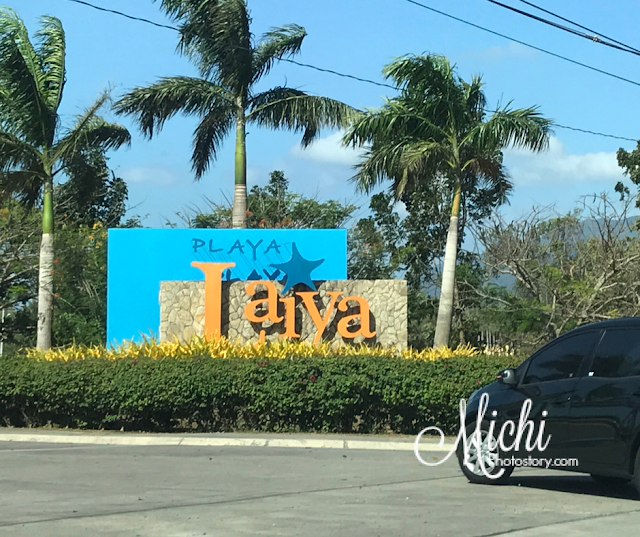 Fast forward to our trip, it was a long weekend so we left as early as 5AM to avoid the traffic. We had breakfast at Jollibee San Juan and we passed by the Tourism Collection Booth. We just gave our printed Eco Pass since P20 ecological fee (per person) is already included in our room package. 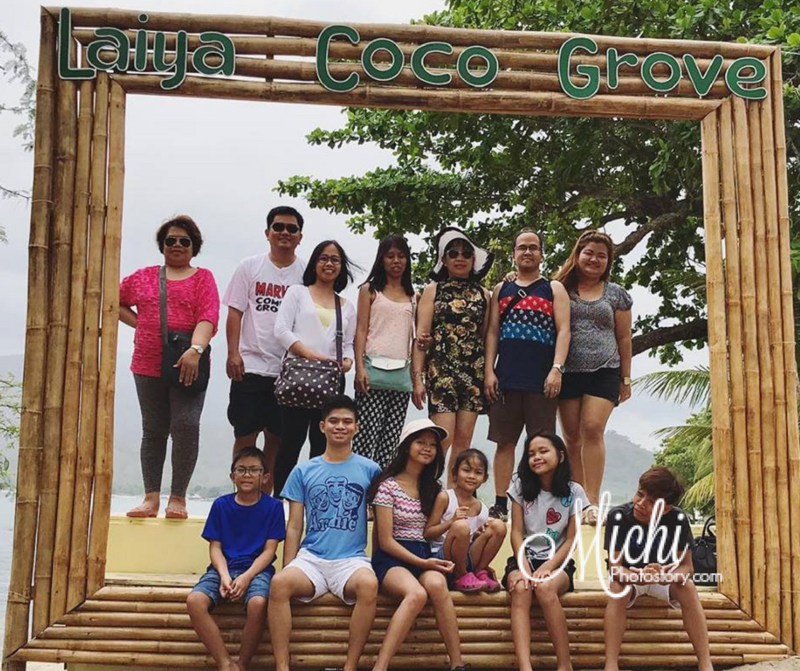 Laiya Coco Grove is a huge resort, they can accommodate different groups so if you are looking for a place for your family getaway, team building or special events, this is a good option. They have a separate place for overnight guests and day trippers. In fact, this resort is very popular because you have seen this in different movies and TV shows. At their reception, you can see the movies and shows that were shot at this resort. Upon arrival, they just asked for my name, deposit slip and P1000 for incidental deposit. Check-in time is 2PM but since the rooms are all available, they allowed us to check-in at 9AM. Yey! 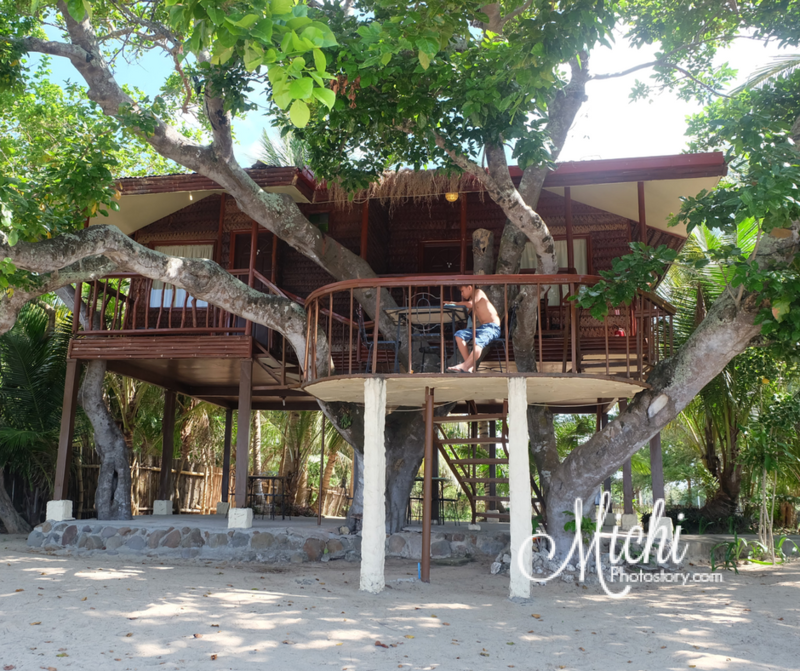 For 13 persons, I booked Couple Tree House, Family Tree House, and Quadruplex Tree House but I did not like the Quadruplex Tree House so we moved to Family Tree House. Good thing that we arrived early so I was able to switch rooms. The tree house really looks nice and it is situated on the beach front so you have a nice view. 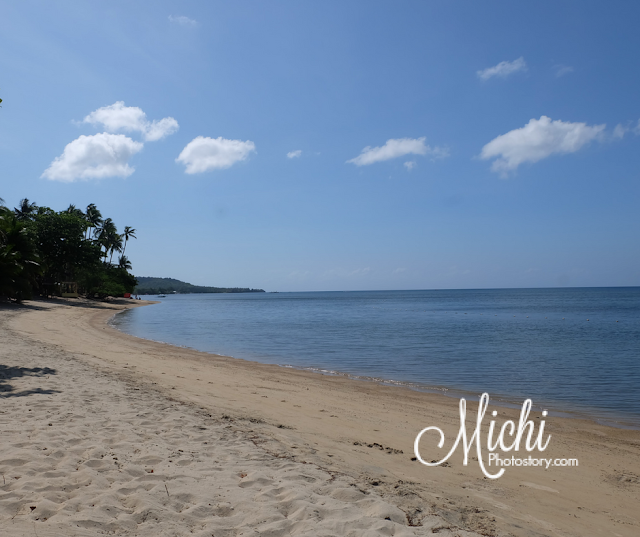 The sad part is, although the beach is just in front of our accommodation, it is not ideal for swimming. You have to ride a shuttle in order to swim at the White Beach. 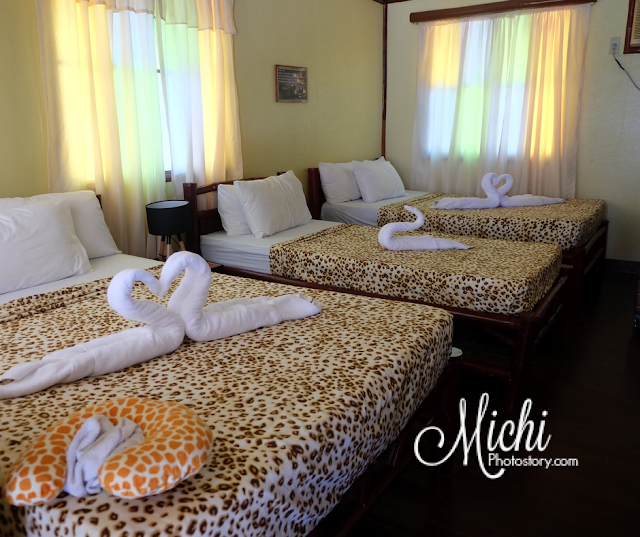 Our family stayed in Family Treehouse, the room is good for 5 persons pero nagkasya naman kami 3 adults and 3 kids. The room still looks nice but the bathroom needs an improvement, it really looks old. Towels, basic toiletries and coffee/tea making facility are good for 5 persons too. My mom and aunt stayed at the couple tree house, the room was nice and it has a small balcony but my mom was complaining na sira yung lock, she already reported it pero hindi pa rin malock. 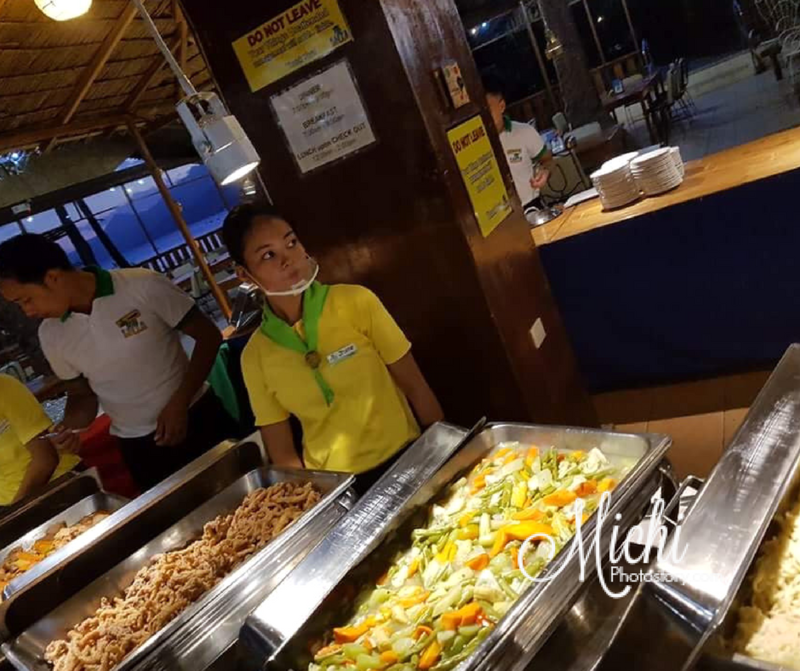 Bringing of food and drinks are not allowed so for overnight guests, you are required to pay for the buffet dinner and lunch which is P400 for adults and P200 for kids. (11 yrs old below) per meal. Our room package includes managed buffet dinner, lunch, and breakfast so we availed additional buffet lunch for our group. 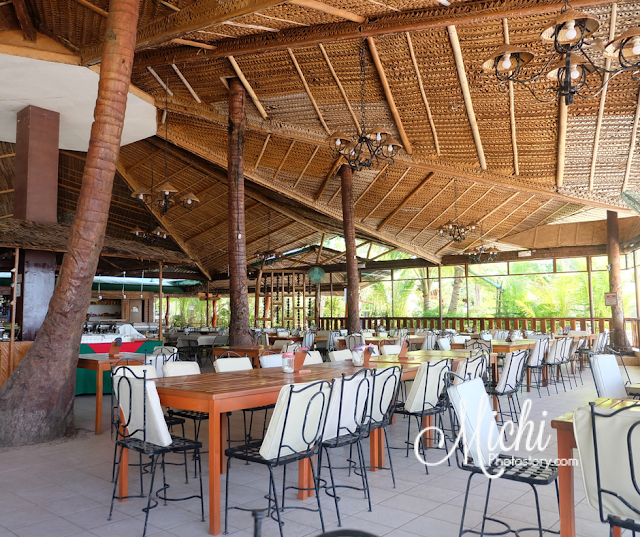 As I’ve said, the resort is big so even the resort is fully booked, you won’t feel that it is crowded, except for the meal times. Ramdam na ramdam mo na madami tao sa haba ng pila sa buffet, tatamarin ka ng bumalik sa haba ng pila. 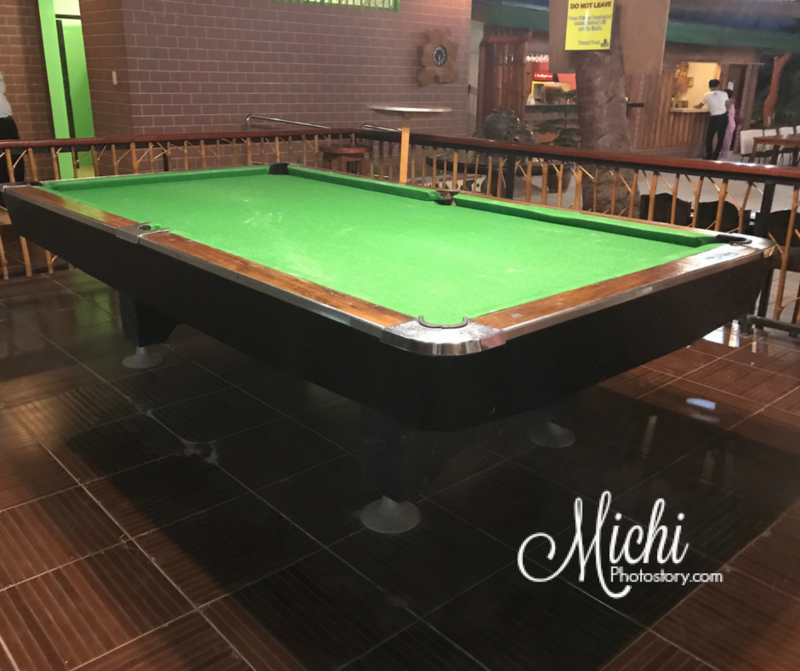 The buffet spread and servings of foods are good enough, you have soup, pasta/noodles, rice meals, dessert, and drinks. When it comes to taste, it is just okay. Some meals are good and some meals are not. 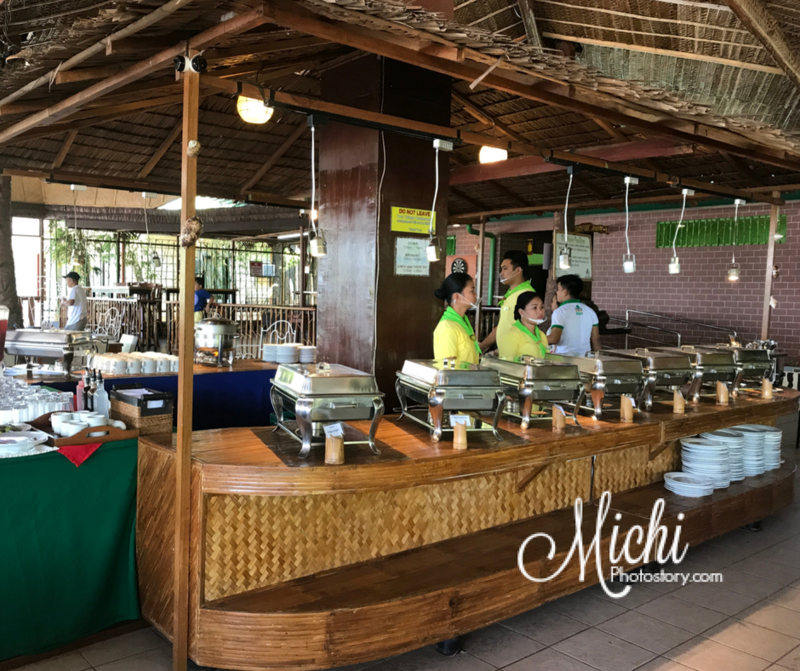 Among the meals that we have tried, our favorite is the buffet breakfast. Mas maraming choices for foods and drinks. Just check my YouTube Channel for more pictures and videos. As I’ve mentioned before, the beach in the resort is not ideal for swimming so if you want to enjoy beach and water sports activities, you need to ride shuttle service so they can take you to the White Beach.This is the White Beach, there are reserved cottages for resort guests so just choose your spot. 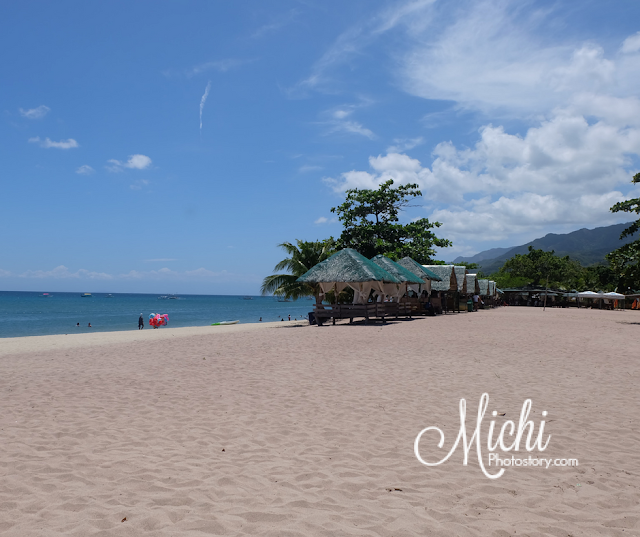 For snacks, there is a convenience store and yung mga naglalako sa beach ng food. Hehehe! There are bathrooms at the beach but it is not that clean. 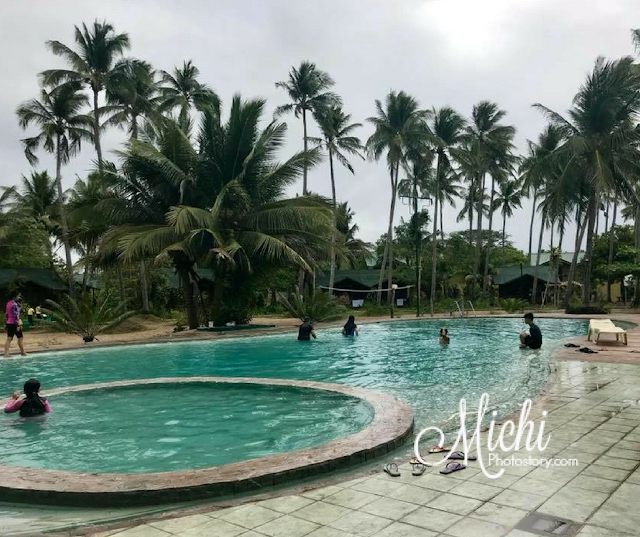 The resort has one swimming pool, it is a long walk from our tree house. 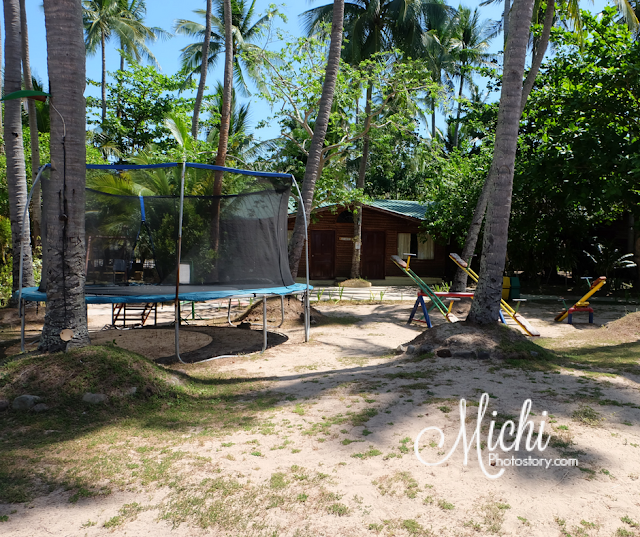 If you have kids in tow, there is a mini playground where kids can play. There are slides, swings and trampolines. You can also play volleyball, billiards, table tennis and other board games. Don’t forget to bring ID so you can borrow the materials. The place is huge and picturesque so don’t forget to take a lot of pictures. When my mom and aunt posted their picture on their Facebook, ang dami na nagtanung kung saan yung resort. 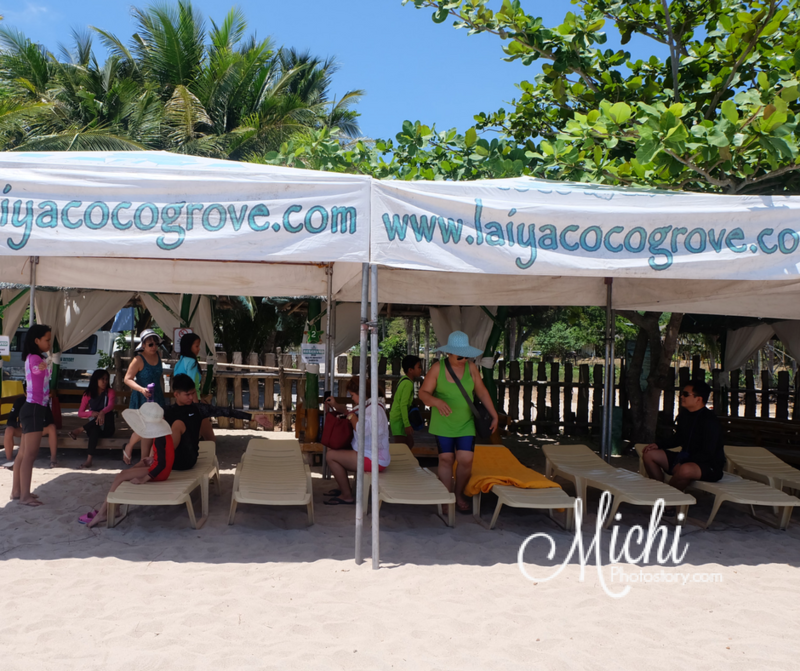 Oh di ba, free advertisement pa.
Our family had a great time at Laiya Coco Grove, booking is easy, the place is peaceful and service is good. Thanks to my mom for the treat! * There is free wifi but we have no connection in our room. I love the look of the tree house! And ang sarap magtampisaw sa tubig with this weather! It was actually rainy here in Davao a couple of weeks ago, pero ngayon bumabawi ang init. Oh, was this the one that Kris went to, with Josh and Bimby? 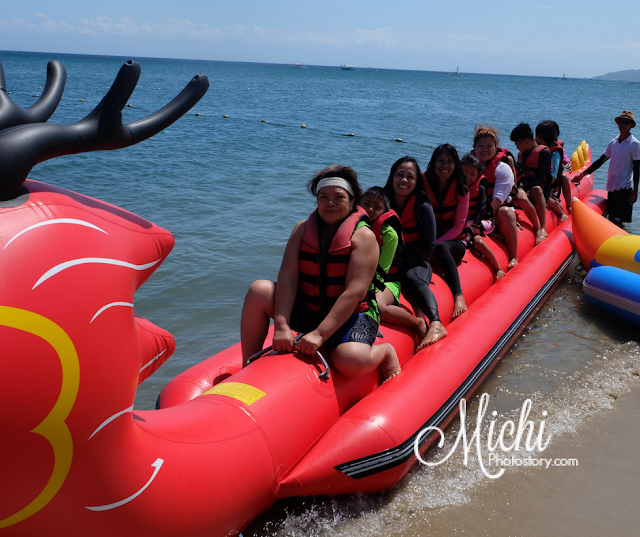 Parang familiar yung banana boat. Napanood ko na yata. Been wanting to go to the beach again for some time now. But not sure yet when we can get away. Hirap when you don't have a car.